The other night I was at the birthday party of a friend, discussing the house buying process with someone I had met once or twice. We had actually run into each other at an open house several months back. The conversation came to a halt, however, when he mentioned how much fun it was to look at all these houses. No. It’s not fun. It’s heartache and depression. 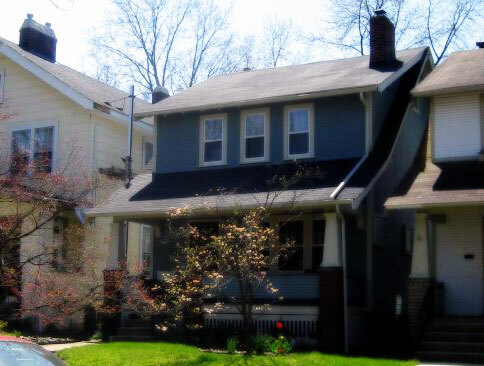 After looking at every house available in Clintonville that wasn’t going to cost us half of every paycheck, we finaly found one that seemed like a nice fit for us. Three bedroom, large back yard, great kitchen, hardwood floors, updated laundry area, and an asking price that was within negotiating distance of our budget. We were in love. That’s when we came head to head with the first time homebuyers worst nightmare: the stubborn and out-of-touch homeowner. After almost a week of trying to agree on a price by way of the “you come down by one thousand dollars, we come up by one thousand dollars” gambit, they decided to pull a power play: They announced that, they’re so sorry, they didn’t see in the original offer that we were asking for closing costs and all appliances. They then proceeded to “counter offer” with their same exact original offer, but with the slight change that their washer and dryer were not included. That’s right, they counter offered with a worse offer than their previous counter offer. Their realtor made sure our realtor new that the washer and dryer were “brand new” and that the wife “just can’t bring herself to part with them.” After another half week of continued childishness on their part, including counter offers delivered up to a day past the deadline, they finally just stopped responding. Altogether. A deadline came and went and we didn’t hear a thing. It’s really tough when you finally find a house you can see living in for years only to find that the sellers aren’t serious about selling the place. At this point, I think both January and I resigned ourselves to the inevitable fate of renting for another year and saving up for a down payment. That’s when fate stepped in. Fate, in the form of an email to our friend Katie. That Wednesday evening, at our weekly “Lost” party, she mentioned that she saw an email go out on the church message board that a couple was planning to move later this summer and they wanted to see if anyone was interested in their house. They were barely asking more for it than they paid four years ago, so January gave them a call and set up a time to look at it the next morning. That’s ours. The one in the middle. All three windows on the top floor are for the master bedroom. A working fireplace! 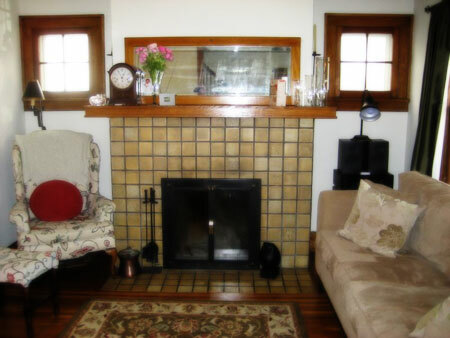 Almost every house we looked at before this one had, at best, decorative fireplaces. One car garage. 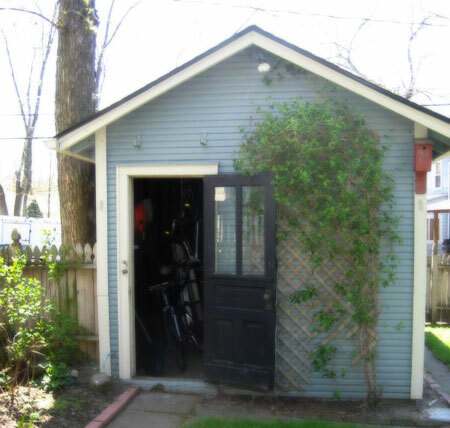 It’s on the small side, so the plan is to renovate it into a studio where I can work during the day and January can work on her budding wedding photography business. Working with the previous owners was such a great experience, especially in light of our experience negotiating on the first house. They were open with us about how much they wanted to get for the place, when they needed to be able to move out, and the entire process was just about as easy as I can imagine it being. We closed on the house on June 15, and letting them stay there until August 15 when they move to Boston. That’s the only drawback: We went into contract on April 21, and we won’t have possession until August 15. That’s almost four months of looking forward to house-living while continuing to live in our apartment. But we’re counting down the days now, so it won’t be long until we stop throwing our money away on rent. But you know does make me happy? Remember the first house, with the owners who passed on our offer because it included their $800 washer/dryer set that they couldn’t part with? It’s still on the market. With a new listing price below our last offer.